This black ribbed meeting chair is based on the iconic Eames design. This designer style chair will add a touch of class anywhere you use it. The chair sits on a chrome cantilever frame a with fixed arms. 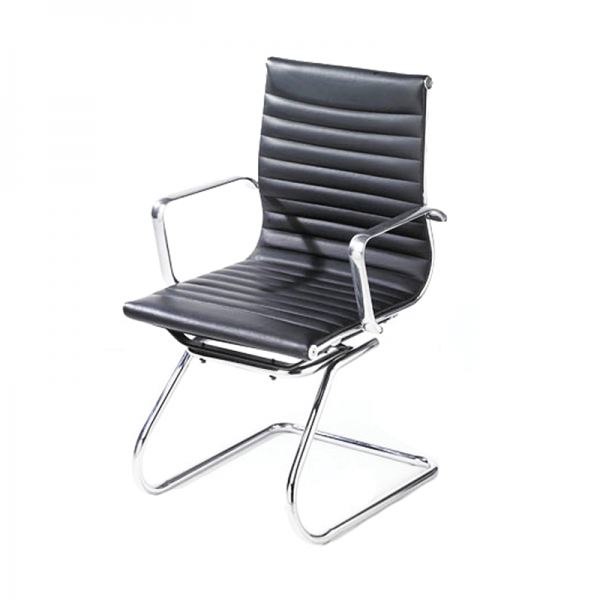 We also have a white ribbed back Eames style cantilever chair available to hire, or see our full range of Eames style meeting & executive chairs.